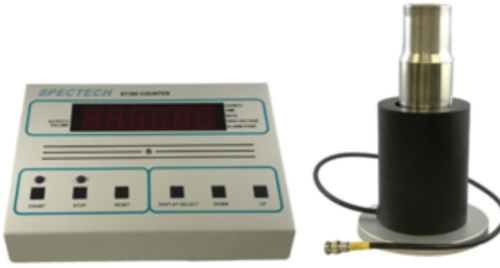 The ST360 Wipe/Test Tube Counting System is built around the ST360 Radiation Counter and a 1.75″ x 2″ NaI(Tl) well detector. This system is ideal for counting wipes and test tube samples. The ST360 can also be operated using a computer (PC or Mac) via a serial or USB connection. This allows for data to be collected and displayed on the screen in either analog or digital format. All of the data is stored in a format that can easily be transferred directly to many common spreadsheet programs.